This entry was posted on February 1, 2011 at 6:23 pm and is filed under non-fiction, short stories/poviedky. You can follow any responses to this entry through the RSS 2.0 feed. You can leave a response, or trackback from your own site. 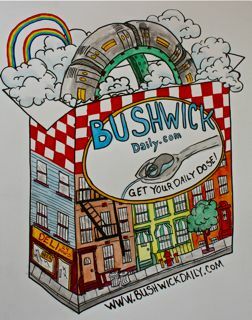 I read the story in Bushwick Daily – you really do have talent, though I hope you keep working on your English! It was particularly interesting to me, since I emigrated in the opposite direction a few years ago – NYC (Bensonhurst and Morningside Heights) to Bratislava. Same story, only backwards. I just hope that when I get back to NY I remember how to tip! Nice work!